Moving house is supposed to be stressful, so I guess I can’t complain too much. The problem with the one I’ve just completed was a loft conversion that we’d done in 2007, while my wife was pregnant with our first child. In the end the builders were still there when she popped out (the child, not the wife – she’s still around), and we basically told them to finish off and get out. It made sense at the time. Fast forward four years, though, and we’ve got a new loft conversion and no completion certificate*. In the end everything depended on me organising said completion certificate before completion. Fail in that apparently simple task and everything would collapse, leaving me at fault and out of pocket to an almost six-figure tune. As anyone who has had the great misfortune to deal with a council’s building regulations department will know (and I’m tarring them all with a very similar brush here, so I apologise if yours is full of cheery, sensible, easy-to-relate-to regular party-invitees), this was a long and trying road that more than once drove me to the very brink of, if not a total breakdown, at least a hearty and fulsome yell. To cut a very long story pretty short, it was confirmed to me that we had been awarded a completion certificate approximately 45 minutes before we were due to sell our house, and buy another one. After that, the move itself was a breeze. Just a load of boxes and bubble wrap. And there’s been a vinous bonus as well, as all the wine that was previously in my long-term storage (a cupboard under the stairs) was disgorged and vomited out into the new house, in a big old jumble. Suddenly, things that I’d all but forgotten about started to catch my eye. This is one, and it’s a stonker. I bought it, and five others very much like it, on the back of an emailed offer from Majestic at the start of 2010. When it came, I stuck it in my long-term wine storage (the cupboard under the stairs) and there it lay, for not that long really when you think about it, until the packers and movers disturbed it from its slumber, transported the few miles to my new house and dumped it, with all the rest of my wine, in the garage, where it sat, awoken, showing its figurative thigh at me like an incurable flirt until my resistance broke. It’s brilliantly enjoyable stuff, one of my favourite wines of the year so far – despite being far from the most expensive. 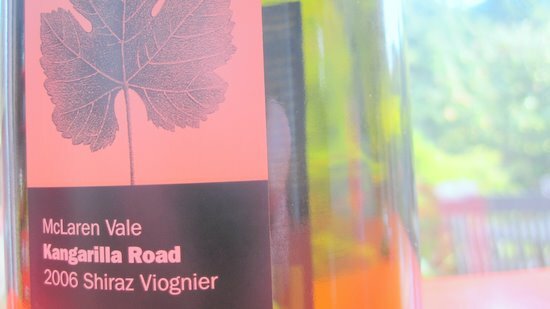 My nose loved getting thwacked about with its dazzling line-up of fruit-based aromas; it’s one of those wines where even if you’re not drinking you keep thrusting your nose back towards the glass for another sniff of its heady perfume. Never mind the alcohol – which at 15% is fairly intense – the smell alone is utterly intoxicating. It’s a social wine, worthy of company and would feel a little out of place, I think, if it were invited into a quiet night spent on the sofa. It doesn’t aspire to greatness, but it’s fairly classy and a hell of a lot of fun. Each bottle cost me £11.99, so it isn’t exactly cheap, but I certainly don’t feel shortchanged. I’m not, as a rule, a fan of lower-end McLaren Vale shirazes – big, broody, burned beasts that they are – but this is a textbook example of what a bit of viognier can do to the stuff. It’s lively and beguiling, and I’d love to own a great deal more of it. And so, it appeared, would the friends I shared it with; I did my best to grab my camera as soon as I realised how exciting this wine was, but I still didn’t get to the bottle before it was empty. My only quibble was the slight alcohol burn that you get as the wine goes down, but go down it does, very well indeed. I’ve now got some wine storage sorted in the new house. Whether the rest of this half-case will ever make it there, though, is very much in doubt. So far as I can see the only place in the UK that stocks this (and even then it’s the 2004 vintage), is Last Drop Wines. * For any confused non-Brits, a completion certificate is the dullest thing you could ever imagine desecrating some paper with, but lawyers seem to like them. Now, since we last met I’ve discovered cellartracker. This has left my poor blog with a bit of an identity crisis, there now being somewhere better to keep my tasting notes, such as they are. What is it now for? Stuff about wine that isn’t tasting notes, then. Interesting. I’m going to have to do some thinking about this one, at the end of which this blog will, I’d have thought, be either much better for a casual reader, or dead. In the meantime, tonight I’m drinking a really delicious bargain French red, something though would make whoever puts the Society’s Full French Red together feel a little embarrassed, I’d have thought. Of course most of the country wouldn’t class a £6.99 wine as a bargain, but damn if it isn’t worth it and more. It’s a wine with intelligence, I’d say. Spicy, peppery, mouthwatering, smooth but by no means dull. Bought after a couple of recommendations on the winepages message boards, the first such wine and certainly not the last, I’d wager. I’ve been living on scraps lately. I have a natural hoarding instinct. When I’m handed a plate of food, I’ll always leave the bits I don’t like, eat the bits I least like first and leave my favourite stuff until last. So it is with wine. I order a case of wine, the bulk of which usually costs a fiver or thereabouts, with a couple of bottles that might cost three times that. But then I drink the cheap stuff and then, finding my wine rack a little bare, order another case of extremely similar composition. So what I end up with is a lot of nice bottles of wine that I don’t really drink. Today, though, I’ve opened a good ‘un. It’s been a long day, involving work, childcare and, I’ll admit, a little watching of tennis. The kids didn’t nap simultaneously – indeed one of them didn’t nap at all – so there was no pleasant middle-of-the-day downtime. Rachel and I are tired and a little bit ratty, and just had something of a minor falling out after I vetoed America’s Next Top Model, probably her favourite TV programme and almost certainly my least favourite. I know marriage is all about little compromises, but you’ve got to draw the line somewhere. So when I raided the wine cabinet, I was minded to give myself a treat. And I did. This costs a few pence short of £20 at Waitrose, or £15 in one of their occasional and delightful 25% off everything online sales, and is thus one of the most highly-valued wines in my little collection. At last week’s gigantic and excellent Bibendum tasting, which I haven’t written up yet but will soon promise, I conducted by and for myself an impromptu tasting of pinots, taking in Australia, New Zealand, America and Burgundy (and won, quite against my own expectations, by a Californian, the Marmesa Santa Lucia Highlands PN 2007). None of the Kiwi pinots I tasted there was a match for this one. Some can be a little watery, a bit too light-bodied, and while they could still go down very nicely on a summer’s day and after a couple of hours in the fridge, they’re not a match for me, in a mild funk, on a chilly January evening. This, though, looks serious. It is deep, dark, inky, not at all translucent away from the outermost edge. It smells of earth and capsicum compote. It tastes of plums and damsons and cherries and red cabbage. It is a little wild, a little angry. It is the right wine for me right now. It’s, like, weeks since I last posted. This long lay-off coincided with my first ever bloggers’ event, at Bibendum. I had a very good time, tasted some interesting wines but I was, I think, slightly put off by the unwavering dedication to blogging exhibited by the capital’s top food and wine bloggers. They dedicate more time to their hobbies than I, a father of two little sleep-stealing time-eaters, can afford mine. Even though it only takes half an hour here and there, it’s either that or do a very small amount of genuine, computer-off relaxing. I did, though, take some very useful notes and didn’t throw them out so the good news is I’m still going to post! In my time off I’ve still been drinking lots of wine. Highlights: Yali, Winemaker’s Selection Wetland Sauvignon Blanc 2008 Rapel Valley, a Chilean that was recommended by the venerable Jancis Robinson as her wine of the week, while Tesco’s had it in an opening offer at £3.99 a bottle (I didn’t like it quite so much as she did. 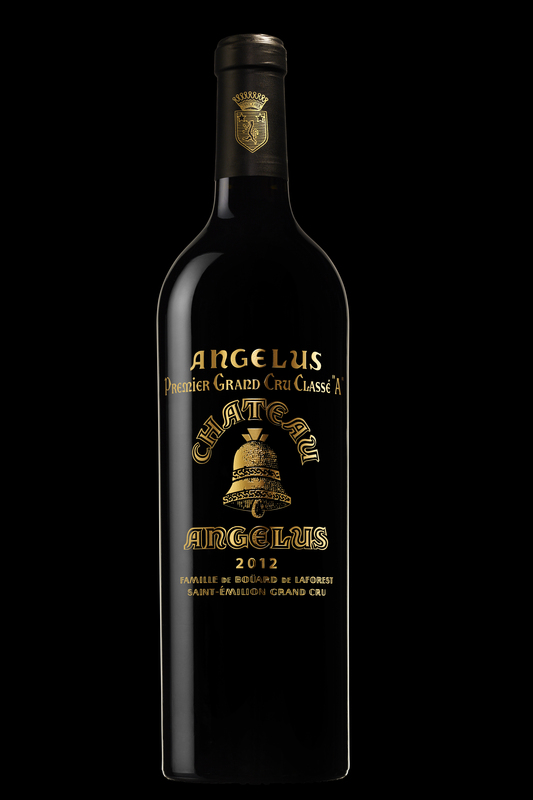 I reckoned it was good value at that price but not amazing and, at its standard £5.99, probably pretty avoidable), and La Difference Carignan 2008, which I remembered enjoying last year and enjoyed again this – a superior, classy French vin de pays. But it would take something special to force me to sit, on my own, in the living room after Rachel’s gone to bed, tip-tapping my way across the keyboard. And this is it: another Caves de Pyrene purchase and my first Fumin – not the most obscure Italian grape variety, certainly not if you drink lots of wine from the Valle d’Aosta, but I don’t and it’s obscure enough to impress me. This could be my favourite Italian red – and I like Italian reds. It’s certainly up there. 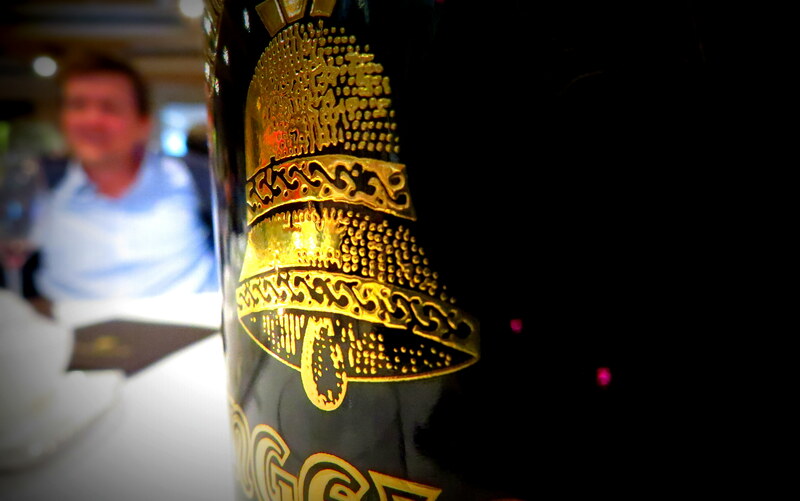 More approachable than their trademark top wines like Barolo and Brunello, and a much better partner for a full evening. It’s quite Syrah-like but it’s not as heavily oaked as they often are, and it’s a lot less fruity. It’s a very masculine wine. Tar, tobacco and leather. Tannins not overbearing. Alive, bright but serious. It’s really excellent. Note to self: keep an eye out for it in future. EDIT: I found my receipt from Les Caves, and I’m going to tap it out here for future price-reference. For what it’s worth, this Fumin was an absolute steal. So I picked this up in Tesco’s the other day, reduced from £5.99 to £3.99 in their wine festival promotion. I was a bit narked because I was after the Tesco’s Finest Fiano, but that one’s been recommended in too many newspapers and seems to have sold out – you can’t even buy it online. Anyway, I’d seen this one reviewed by Jamie Goode a couple of months back – not that I memorise everything he writes, but it has the kind of label you remember – so I thought I’d give it a go. 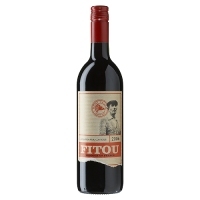 They say: Mont Tauch Fitou maintains all the character of Fitou with a fruit driven modern approach and a complexity derived from the mix of terroir and grape maturity. 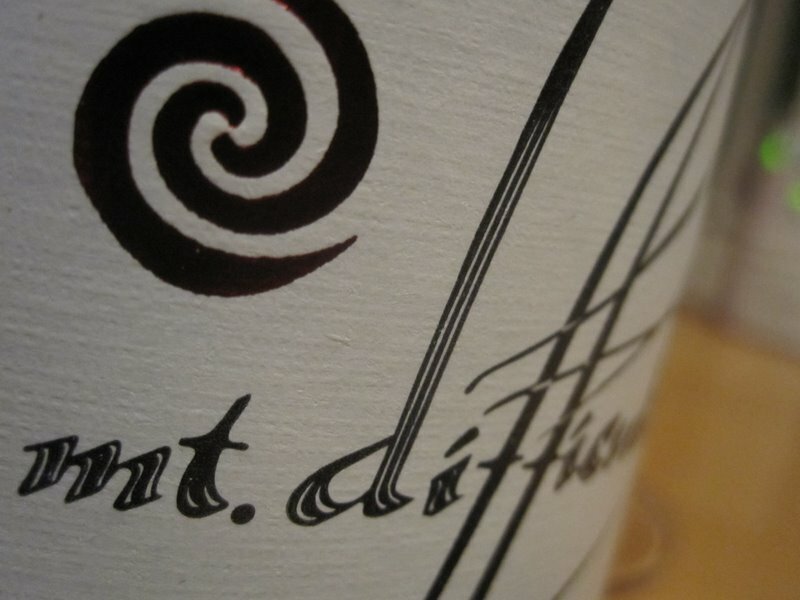 It’s made of carignan, grenache and a little syrah from the villages of Tuchan, Paziols and Villeneuve. They also suggest that it’s best served with a carpaccio of muntjac. Sadly there were no diminutive deer passing, and it was 10pm when I unscrewed the bottle, so I had it on its own. Something of a mistake, I fear – this is a good, honest, simple wine that is crying out for some good, honest, simple food. If you’re planning to stew some beef or, yes, venison or eat anything with lots of rosemary I’d reckon this would be a bargain accompaniment. But it wasn’t quite assured enough to press my end-of-evening buttons on its own. A peasant wine for peasant food (which is by no means a criticism).